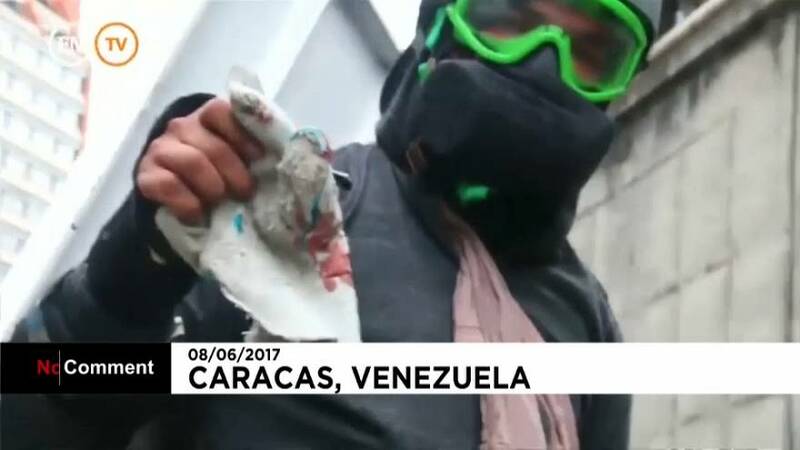 Video footage has emerged purporting to show the moments immediately preceding and following the death of a young protester during clashes on the streets of Caracas. Neomar Lander was aged just 17 when he was killed in the Venezuelan capital, bringing the death toll in a wave of demonstrations to at least 66. He was allegedly struck repeatedly by the Venezuelan National Guard (GNB) prior to dying.